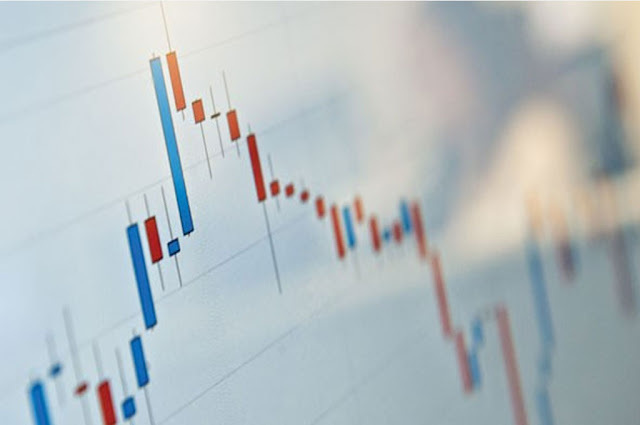 As we know ... in technical analysis in forex market, the shape and formation of the candle stick can we make reference in determining price movement. For the forex traders who tend to give priority to technical analysis in trading him ... and (even) sometimes they ignore news (fundamental) ... then knowledge and mastery will candlestick pattern is absolutely necessary to determine when mreka perform entry or open position (OP) in the market. The pattern of shooting star candlestick shape is similar to a hammer, but the picture upside down, its tail over the length of the body beneath. This pattern usually formed above the movement up the trend is going on and reflects the increase in value of the market price, but the seller turned trader pressing prices down. Shooting star pattern is also the signal the beginning of a strong trend direction reversal of a trend that is moving up. 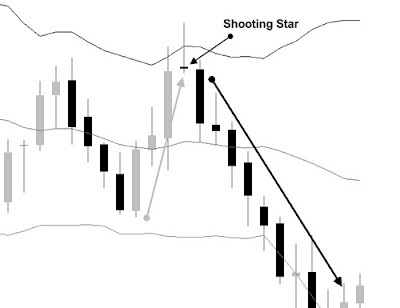 But the pattern of shooting star should require the confirmation of the next candle before we intend to take off position. Hammer pattern usually formed at the base of the movement of the downtrend is going on, this pattern reflects the devastating force of bullish to depress market prices, while the bearish strength turned push the value up to the end the value of the price closed above the opening price or value far above the value of the lowest price. 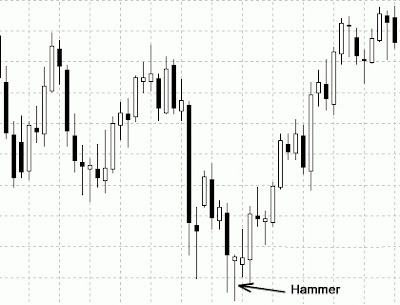 Hammer pattern formed with the formation of the value off price is above the opening price, or value well above the lowest price. Usually there is a long tail below the body of the candle stick and the size of the long tail on average 2 times longer than his body candle. 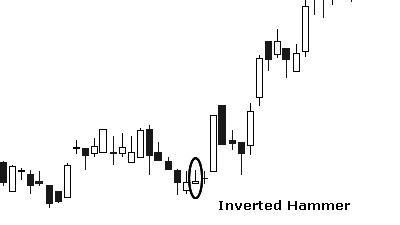 Although indicating signs to bullish inverted hammer pattern, also need confirmation on the next candle before we intend opening position. This pattern usually formed under the movement of the down trend is taking place in a period of time. Long Legged Doji pattern are the uncertainties of the market to determine the direction. 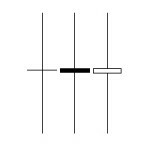 As with any other doji candlestick pattern, long legged doji can be misconstrued as a signal inverter/reversal or continuation patterns/continuation. The most important thing is to define the long legged doji is a position where the pattern of the long legged doji is formed. If the Long Legged Doji is formed on top of an up trend, then it can be misconstrued as a signal for a reversal to the downtrend. If Lolng Legged Doji formed under of a down trend, then it can be misconstrued as a signal for a reversal to happen to the market uptrend.